The seat of the state’s government is Charleston. Sponaugle’s suit -- calling for a “writ of mandamus” be issued that will force Justice to meet the constitutional residency requirement -- states that the governor “has not resided at the seat of government for more than 10 days from January 16, 2017” through the date of the petition, which is dated Tuesday, June 19. At a news conference last week, Justice gave no indication of plans to move to Charleston. He also listed accomplishments since taking office in defending where he conducts business and resides. Asked about the legalities of the decision to not stay at the Governor's Mansion, Justice referred the question to his general counsel, Brian Abraham. Additional documents from the filing show that, as part of the discovery process, Sponaugle is asking Justice to admit he does not reside at the Governor’s Mansion and does not plan to do so. 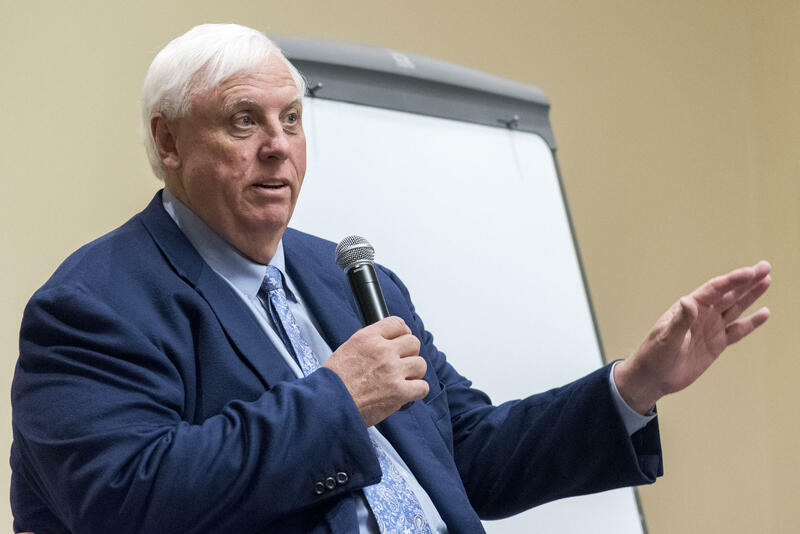 Other requests include questions about how many nights Justice has spent at the Governor’s Mansion and how many days he has physically spent at the state capitol. Justice issued a news release responding to the suit Thursday. He called it a “political stunt” that would come at a cost to taxpayers. In a Thursday interview, Sponaugle said the suit wasn't a political maneuver targeting Justice, who is a Republican. "It is not a political ploy or maneuver. I've had numerous Republicans contact me all day long -- more so than Democrats -- [to say] they were glad to see it," Sponaugle said. "We are governed by laws, we respect the rule of law. And if you believe that you're above it -- which is the case right here -- if I have to take you to court just make you show up to work, then I'll take you to court to make you show up to work," he added. The suit against Justice follows complaints by other Democratic state lawmakers who have questioned Justice’s presence around the capitol and called for the governor’s resignation.